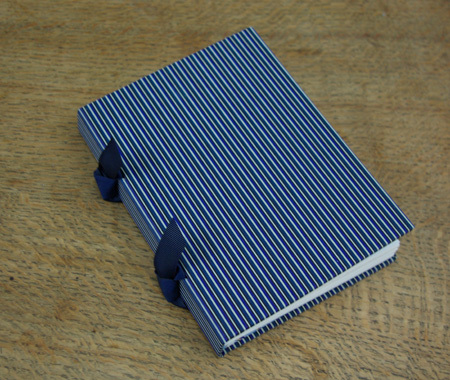 …or my executive book. 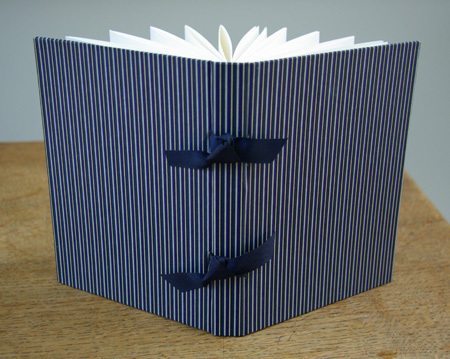 This one is very smart and pin striped until you open it up and then there is one of those gorgeous Japanese papers as a surprise inside. I have been having internet difficulties this morning. Tried to log into ‘Go! Smell the Flowers’ to do my first official post as a founder member and was told I was an ‘Invalid User’. Well, I was feeling a bit under the weather but that was a bit harsh I thought! Have you received an error message that makes you smile? I’ve always wondered about ‘You have performed an illegal operation’ which makes you think of some backstreet quack doctor or worse! I’m a computer programmer and keep getting a “fatal error” on something I’m working on. Amazingly, I’m still alive! Ha! I’ve had that one in the past too! PS: I’m melting away with all these lovely shades of blue … ! It is very, very blue, isn’t it? I like it. 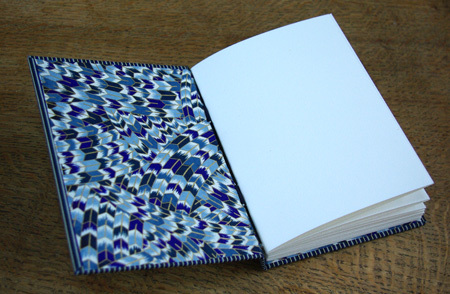 By the way, your idea about the exercise books has turned out to be the best solution! I managed to find some in a local shop and it is going to work out very well. Thank you for such a good idea!